Leinster have won the last three meetings with Munster including a 25-14 success at the Aviva Stadium in October but a bet on the Red Army to prevail by one to 12 points appeals most in the mouthwatering Pro12 top of the table clash in Limerick. The atmosphere at Thomond Park will be electric and emotional as it is a first battle between the great provincial rivals since the death of Munster’s legendary head coach Anthony Foley and their response to the tragedy on the pitch has been magnificent. Saturday’s last-kick defeat at Leicester in the Champions Cup was a first reverse in seven outings in all competitions since that defeat in Dublin. And while there have been a few strolls, particularly in Europe, it is likely that the tremendous tenacity in adversity that has seen the leaders win at Ulster and Glasgow will come to the fore again. 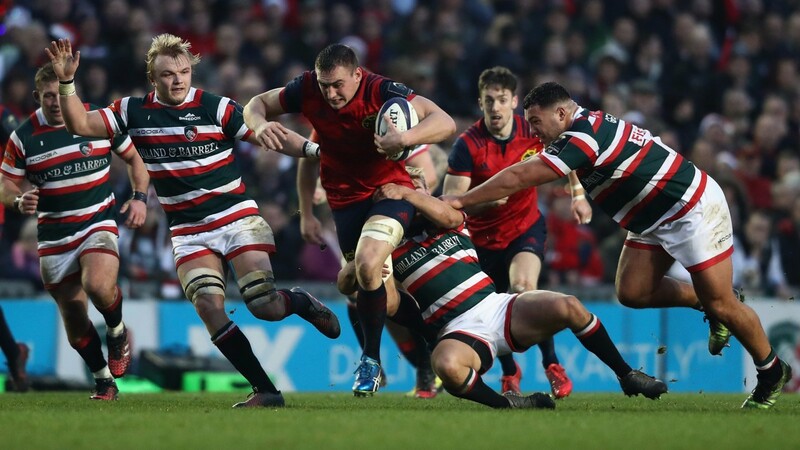 Munster director of rugby Rassie Erasmus has also made only three changes to the team that were edged out by the Tigers at Welford Road so there should be decent cohesion in both the forwards and backs. By contrast, second-placed Leinster head coach Leo Cullen makes ten changes to the side that romped to a 60-13 win over Northampton including seven in the pack, which while far from weak does not contain Sean O’Brien or Jamie Heaslip. Fly-halfs Jonny Sexton and Joey Carbery are sidelined too. Leinster’s three defeats this season have been 33-25 at Glasgow, 22-16 at Montpellier and 38-29 at Scarlets. Tryscorer bets are best in the two other televised Pro12 derbies (Cardiff v Dragons – BBC2 Wales, 2.05pm; Edinburgh v Glasgow – BBC2 Scotland, 4.05pm) and the picks are Josh Navidi and Mark Bennett. Cardiff backrower Navidi is yet to cross the whitewash this season but he touched down nine times last term and seven times the season before including four in all-Welsh clashes. The Blues tend to be freescoring at the Arms Park with plenty of interplay between backs and forwards and Dragons have conceded at least 27 points in losing all five league away games. Edinburgh completed the 1872 Cup-double last season but Glasgow and Scotland centre Bennett bagged tries in both games and has four five-pointers this club season. Bookmakers expect Bristol to break their league duck at the 11th attempt against Worcester in the televised Premiership clash at Ashton Gate after winning both recent Challenge Cup games over Pau and putting in several decent performances since beating Sale in the Anglo-Welsh Cup last month. Second-bottom Warriors have lost all eight away games in all competitions too. However, the Worcester camp are under no illusions just how important the match is in terms of top-flight survival and even in heavy defeats at Bath, Harlequins, Wasps and Exeter they have scored two tries. Back England midfield man Ben Teo to bag a five-pointer. Cenrres have claimed seven of Worcester’s 20 league tries this term and Teo has three in five club outings.